Though we are proud to call Hamilton, New Jersey home, we offer our locksmith services far beyond the borders of Hamilton. Firstline Locksmith is a regional company that provides locksmith service along the East Coast. 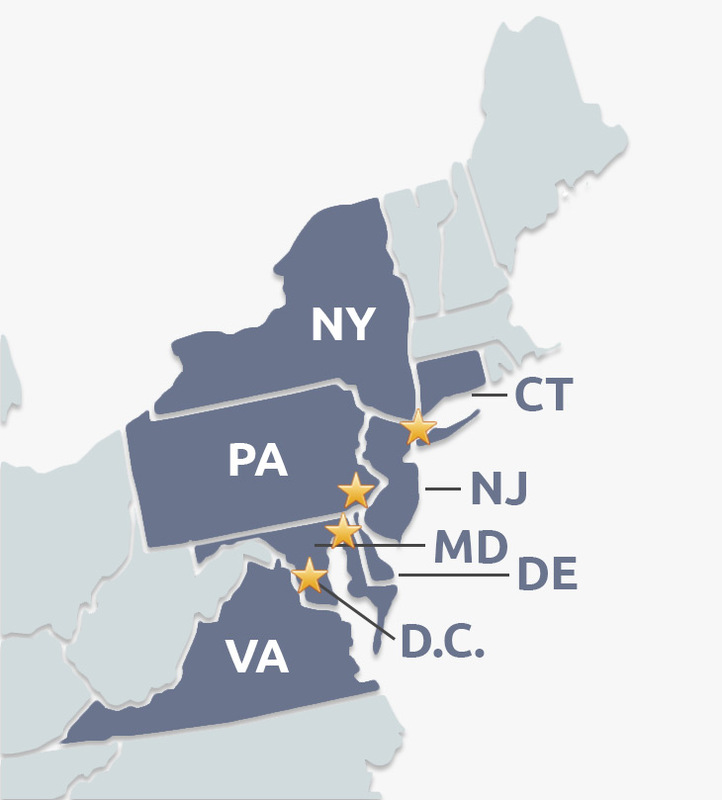 Service areas include: New Jersey, Connecticut, New York, Pennsylvania, Maryland, D.C., Delaware, and Virginia. Our fleet of fully stocked trucks are ready for any locksmith service needed. We also have a store located in Jamesburg, New Jersey. Don’t let distance be the detractor in working with top-quality locksmiths. For more information about our locksmith services, or to schedule your appointment, contact us today. "Response time was top notch; professional, quality service; Melanie (locksmith) knows her trade well and has consistently been dependable, professional, and trade-savvy. Highly recommend Firstline– every time."